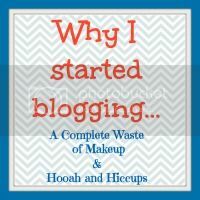 I am linking up with A Complete Waste of Makeup for this fun bloggy question! I have answered it a lot in the past but I think this is a much clearer reason of why I blog! Well about 4 years ago, I started my first blog with Myspace. Scott and I moved around a lot.. everyone was always gossiping about where we were, what we were doing or not doing..it was hard for them to keep up with us.. so I created the myspace blog. It started out pretty much just pictures of our daily lives.. travels.. etc.. After about a year, I realized that I really enjoyed blogging. So with that in mind, I set out to find another better blogging platform. I went to google of course.. and Blogger popped up first. I also checked wordpress but for some reason blogger pulled me in! Since then, the blog has took on a life all of its own. I pretty much blog about the things I love.. My family, My kitty cats, Cooking, Beauty, and even couponing. Who would have ever thought I would ever coupon!? Ha! I consider this blog my little corner in the large cyber world. I love sharing what matters to me.. what matters to you... and I do my best to give you a place to relax, enjoy and hopefully put a smile on your face during the day! I find blogging something I really love. First off.. I like to document EVERYTHING. Instead of Culinary School I should have went to Journalism School. Seriously.. * Life Mistake * I want my great great grand kids to have my journals and get to know us in MY OWN WORDS. And did you know you can print your blog to books? Yep.. its pretty amazing. You can check out what I am talking about here! I have one year printed.. I still have 3 years to print and being I blog so much it would be like series.. ha! But I feel as if my pictures are safe.. I love that family can log on anytime and read our news.. I love meeting new blogging friends. You guys have seriously been some of the best readers ever. It’s my journal. An almost-daily account of my life, available 24 hours a day whenever I want to take a trip down memory lane. Through this blog, I’ve documented some of the most important events of my life. ♥ I am the mother of 3 children and happily married to the love of my life! We have been together 10 years and it just keeps getting better and better. I have documented so many things on here about our marriage and it makes me feel so good to have this online place to share what is in my heart. ♥ I own a Persian Cattery where I breed the most beautiful kittens.. I have documented for years the cats that come in and out of our home. If you are looking to add a new member to your family be sure to check us out! ♥ I went to culinary school.. which was also a dream come true.. who doesn't love to eat! I love documenting some of my recipes and/or some of my sweet and treats! ♥ I love to travel and for years now, documented our travels on here. Its so nice being able to look back! ♥ I have a type A personalty and love organization! I love sharing my ideas and also finding new inspiration from fellow bloggers. Agian.. just something else that I love and share! ♥ I loooove makeup and beauty products products.. no.. its more like an addiction! My collection just keeps growing and growing and I love documenting hauls and reviews on here. I love sharing my opinons on products and hopefully giving you honest reviews before you go out and spend your money! ♥ I am also a Youtuber and love making videos. Its just another form of documenting our lives. And I share those videos right here on this blog with all of you! ♥ I love to document all the happy and hard aspects raising our kids. This blog has been such a great outlet because I have found such a wonderful support system that I never expected. Lord willing, Blogger will never crash. (If it does, I’ve backed up my files to replace it easily... And you can, too. )Y ou can read more about my latest blogger backup challenge right here! Having this online scrapbook is invaluable to me. Another reason, (and possibly the most important), is that this blog allows me to connect with my friends and loved ones. My mom is also a blogger and so is my my sister in law Trina! Blogging is becoming a way of life for my family! And I think that sums up my reason for blogging quite clearly: to document connect. Connect to other bloggers, people from other walks of life, my family members, friends that have moved away…and to Document our daily lives. If you want to know more about me be sure to check out my - Ask the Housewife - post for more Questions and Answers or you can check out my About Me Page! 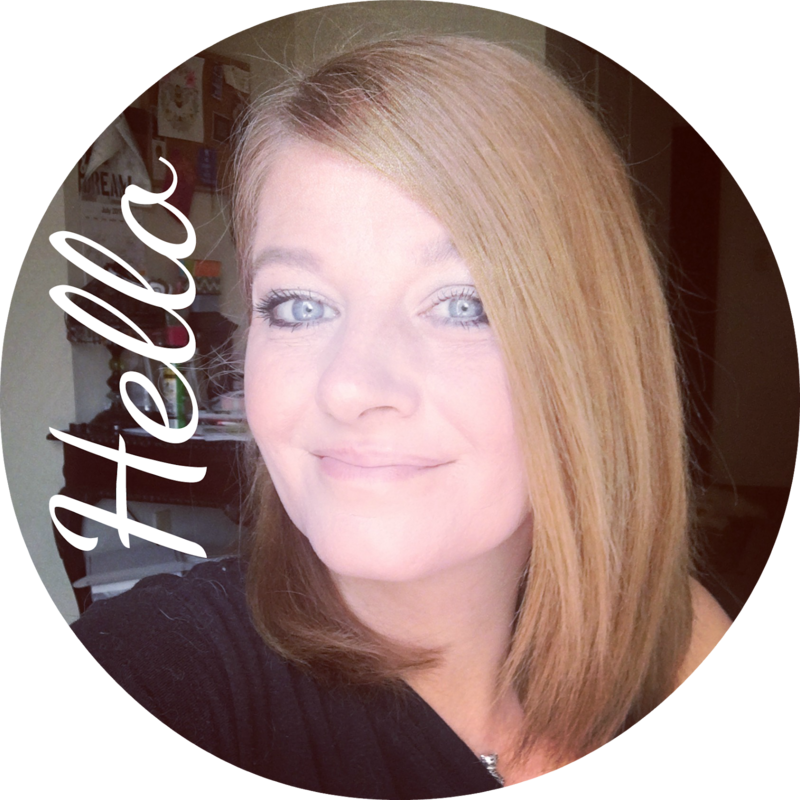 1 comment on "Why I Started Blogging [ Link Up ]"
It sounds like you have found what you need! And geez, you are a busy lady!